This trackball features a large sculpted support on a long housing, making it ideal for individuals with very large or long hands. All the buttons are reprogrammable on board (i.e. within the hardware), allowing them to be reconfigured on almost any platform without the need to install a driver. One of the buttons acts as a 'vertical scroll toggle' converting the trackball into a vertical scroll wheel. 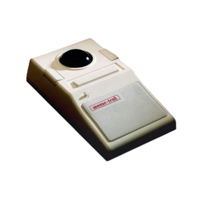 A heavy duty trackball ideal for individuals needing frequent adjustment of speed control, such as professional CAD and UNIX users who need to be able to work continuously for hours on end. Having a toggle to adjust acceleration can benefit individuals who work on monitors with high resolutions and require pixel-point accuracy at times.